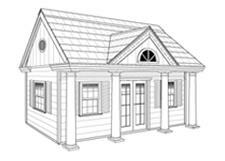 Select a product below to get started and you will be well on your way to designing your very own Summerwood building.It's easy and fun! Let your inner architect soar! See it. Feel it. Make it. Move it. It was a lovely adventure creating my Summerwood design!!! I'm very proud of the look I achieved and thank you for the wonderful ability to customize from start to finish. the Summerwood Custom Design Centre for mobile and tablets is still in progress. Provide us with your email below and when it's ready we will send you an invitation to be one of the first people to try it out. In the meantime, our Custom Design Centre is fully functional on your desktop device (so archaic we know). Add your email to be one of the first people to use our new CDC.